The Chicco Ohlala stroller is so unbelievably lightweight, you can lift it with just one finger! Weighing in at a mere 3.8kg, (if you’re French or not) you’ll struggle not to say ‘Ohlala’ yourself! Due to the fully reclining backrest and adjustable leg rest, the Ohlala pushchair is suitable from birth and is equipped with a wonderfully comfortable seat unit thanks to the use of PF soft fabrics. 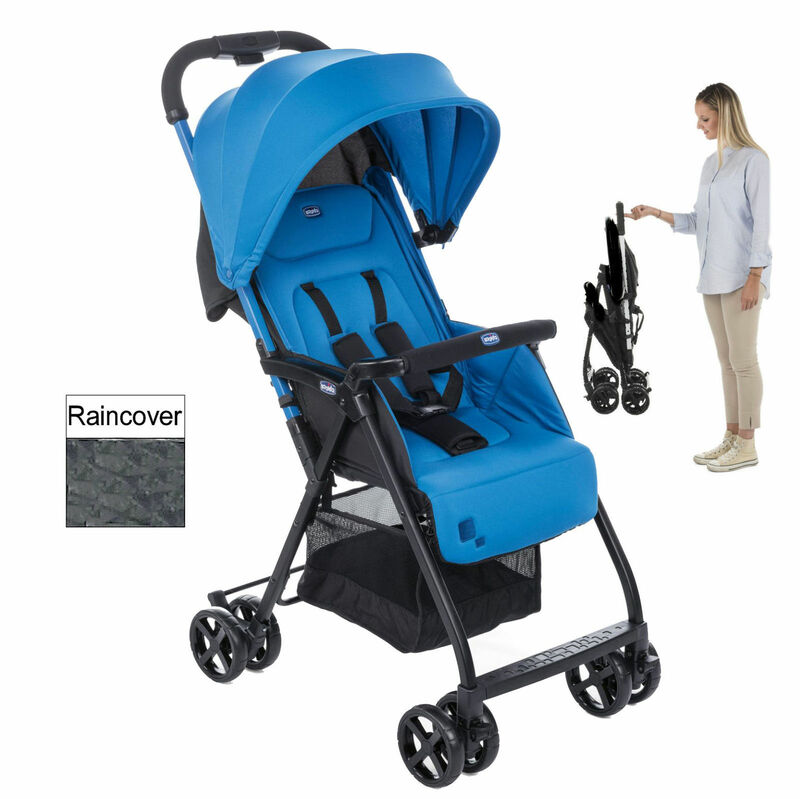 The stroller also comes with a removable bumper bar to increase baby’s sense of security and padded shoulder and crotch straps to keep your child comfortable. The Ohlala pushchair can be folded using just one hand and is self-standing once closed. A raincover is also provided for your convenience and there is also the possibility to add stylish customised details.